Like any other utility expense, street lights can cause unnecessary overhead costs to the towns and cities who run them. So what does one need in order to perform a Street Light Audit? 1. Does the city have any metered street lights, or are they all unmetered? 3. A current month’s copy of all bills associated with street lights and outdoor/security lighting. (There may be only one, but there can be more. We received an excel spreadsheet that may have had some billing information in it, but a scanned copy of the bill(s) would be better. 4. A copy of the letter of authorization/agency (assuming it covers subs) so we can speak directly to the utility company. 5. Copies of any agreements between the DOT and the client regarding highway lighting and/or maintenance. 6. Copies of any service agreements between the utility and the client. 7. 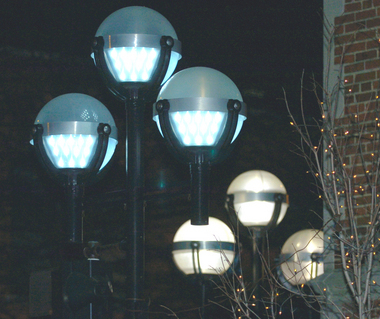 A list of outdoor (security) lighting, including number, wattage and type, if known, and whether metered or unmetered. 9. Any previous electric providers that may have served the city, if applicable, and the approximate dates of service. o Who in the organization pays the bills? o Who is most familiar with street lights? o Who is the account manager at the utility company who handles the city’s account? These are the items we will need for every city we audit for street lights and outdoor/security lighting. Not every city will have every piece of information, but if they don’t have it, it is better to make a note of the missing items, or else we will delay the audit not knowing they don’t have it. Borough of East Rutherford N.J.